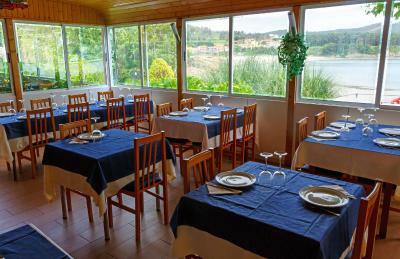 Lock in a great price for Pension Restaurante Merendero – rated 8 by recent guests! It's really an excellent location with full view from the balcony to the bay. The staff was very friendly and we had a great meal in the restaurant. The area of Sardineiro is also very nice for a visit. A (rental) car is recommended for roadtrips and find places with astonishing views of the area. We had the best Paella Verduras ever in Spain here. The "boss" made it with so much personal touch and love, that the meal was absolutely amazing. The laundry and drying was done by them with so much care and delivered so nicely, that I was touched. 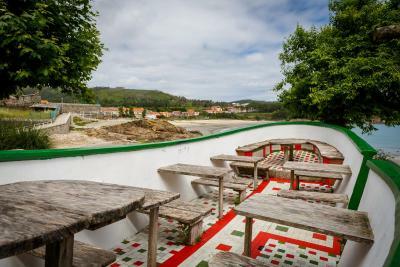 This is a small pension, bar and restaurant in the outskirts of Finisterra (Fisterra). There is asmall beach some 20 yards from the hotel with direct access from there. Nothing special as a beach but neverthless it is quite nice to be able to have a swin on arrival or early in the morning before breakfast. The rooms are just acceptable but there is nothing to say about that considering the rate charged. Beautiful location by the sea. The seafood dinner was delicious and very good value. Reasonable sized room though a little musty on arrival. We liked the informality of the owners - some might not. Very good location at the coast of a small gulf, nice views. I got a pretty spacious room with well equipped bathroom. 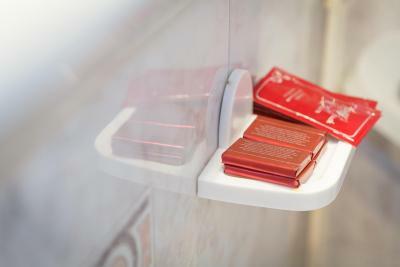 If you have a room with entrance from the inner courtyard, it will make sense for you to use the car parking pool located behind the building, at the coast - easier to move your luggage. Simple but very delicious Galician dishes in the restaurant - even the simplest caldo will make your happy. It's not a bad place but w hardly slept due to a loud knocking noise which went on all night for two nights, which the staff did nothing about except to say maybe the plumbing was leaking. In the end they reluctantly moved us to another room but it wasn't a relaxing stay. Situation,beautiful views. The food in the restaurant was very good and provided a taste of the locality. Helpful and friendly staff. Good size bedroom comfortable bed. New bathroom with plenty of hot water all very clean. Good Wi-Fi connection, Plenty of parking. Guests at Pension Restaurante Merendero can enjoy a continental breakfast. 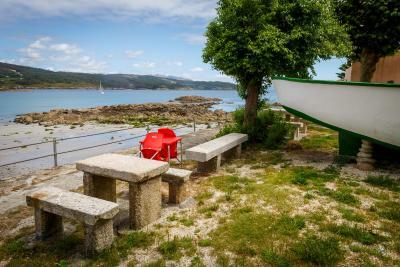 Finisterre is 3.8 miles from the accommodation. 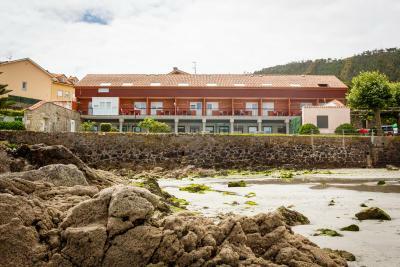 The nearest airport is Santiago de Compostela Airport, 56 miles from the property. 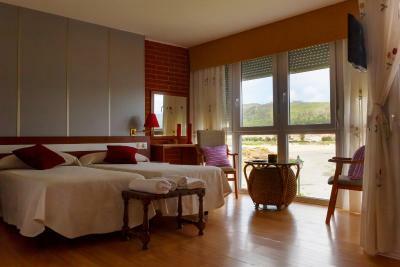 This property also has one of the top-rated locations in Sardiñeiro de Abajo! Guests are happier about it compared to other properties in the area. 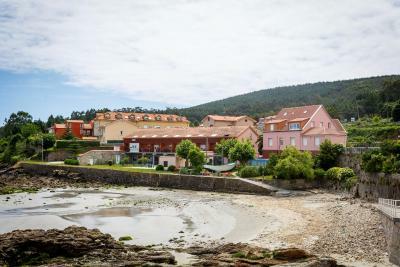 This property is also rated for the best value in Sardiñeiro de Abajo! Guests are getting more for their money when compared to other properties in this city. When would you like to stay at Pension Restaurante Merendero? This twin room has a balcony, kitchenware and tea/coffee maker. 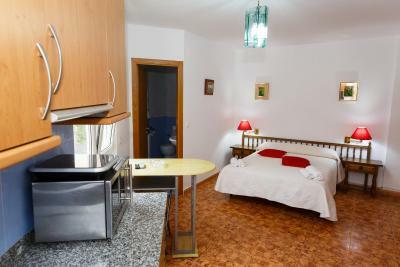 This double room features a kitchenware, tile/marble floor and tea/coffee maker. This family room has a kitchenware, dining area and tea/coffee maker. This quadruple room features a tile/marble floor, dining area and tea/coffee maker. This triple room has a tile/marble floor, patio and flat-screen TV. This twin room features a tile/marble floor, view and patio. This double room has a tile/marble floor, sofa and patio. 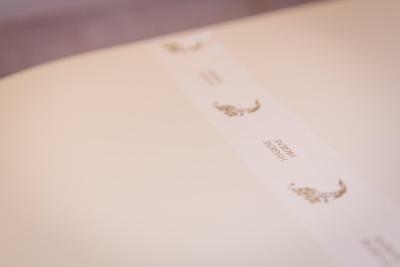 House Rules Pension Restaurante Merendero takes special requests – add in the next step! Pension Restaurante Merendero accepts these cards and reserves the right to temporarily hold an amount prior to arrival. Nobody's fault that our room was on fire when we arrived. They paid for us to stay in a hotel not far away. No breakfasts served on Tuesdays when the restaurant is closed for the day. The apartment had everything we needed and more. See above. Bookings.com has a nasty review system where they ask your about the good things separate from the bad, then only publish the good reviews, so now I put all my comments in the first section. Had to keep windows closed due to heavy traffic passed by all night. Restaurant did not open for dinner until 9-30 pm which was far too late. Could not find even a café for an early evening meal. Breakfast did not start serving until 9-30 am. Not recommended for travellers.